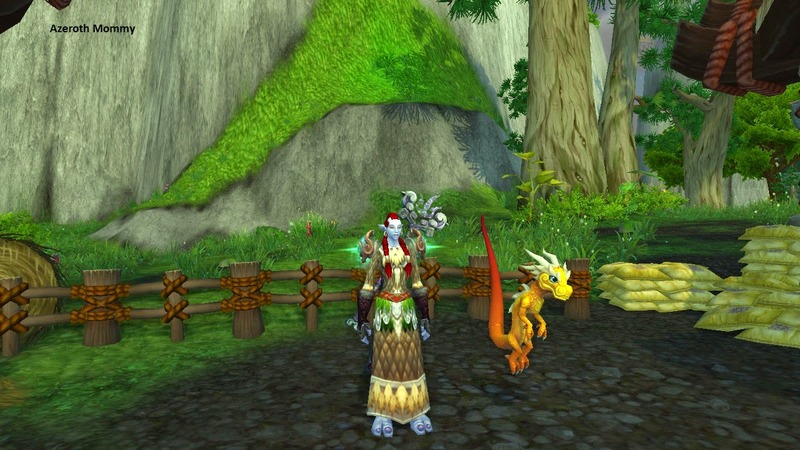 Azeroth Mommy: What I've been up to in World of Warcraft. 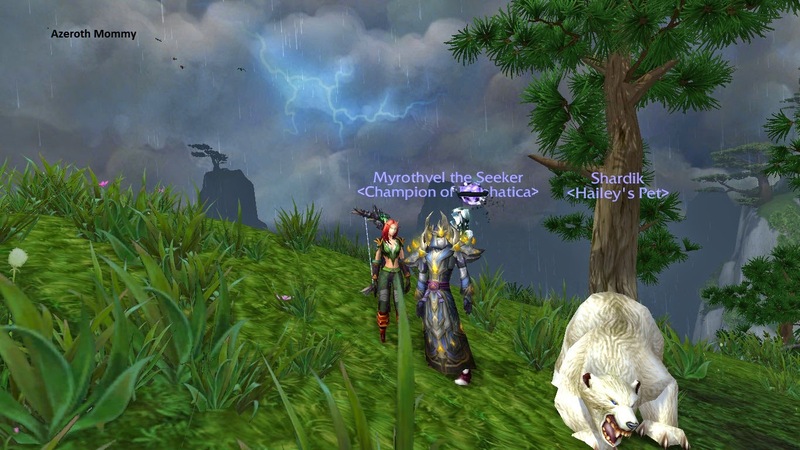 What I've been up to in World of Warcraft. I've been thinking about doing this entry for weeks, but up until the last couple of days I haven't had much playing time. Lucky for me, on my couple of days off, my husband keeps our little one busy, so I can get some playing time in. In my opinion, at the moment, WoW is in a lull.... a lot of people are getting bored with the current content, waiting for Warlords to drop and it's only in Beta. 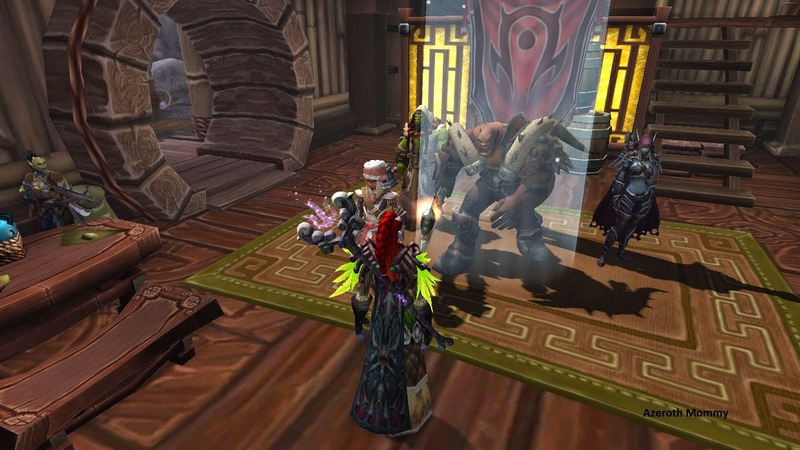 So what do I do to keep myself interested in World of Warcraft? Lately, when I log on, I take care of guild stuff first. My husband and I have our own guild called Emphatica ( Yes it's a Dark Tower reference ) on the Dawnbringer server. Horde side. We've had our guild going on four years now. Like everything else in WoW though, our guild is in a lull. 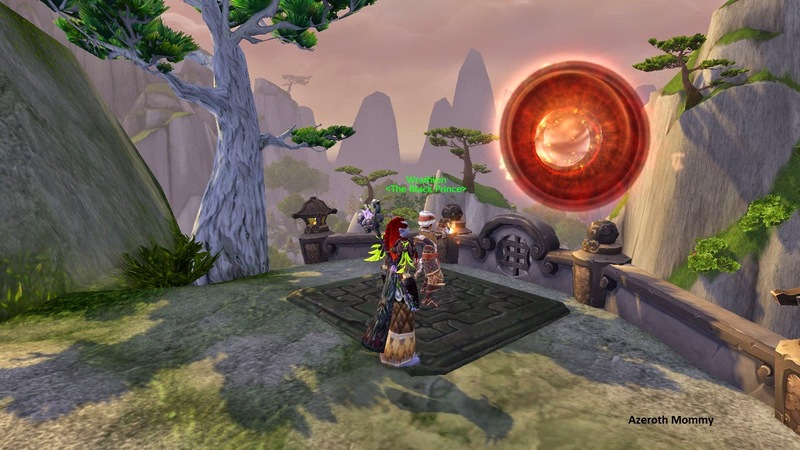 Many players are bored with content, and enjoying the summer. I've been doing dailies for my Cloud Serpent mount. Yup, finally getting around to doing them, even though most people have one... or all of them by now. I've also been trying to gear my Guardian Druid ( pictured above ) I absolutely love tanking on her, and I've been trying to finish LFR SoO. I only have Garrosh to get, and then I can move onto Flex. I've got her item level up to 516, and still climbing. The other day, I noticed also when I logged in, that there was a valor buff, so I qued up and started working on my Legendary cloak quests again. Yeah, I'm late getting to the Legendary cloak too. I'm at the quest part where I need to have 3000 valor..... it seems to take forever, since there's a 1000 weekly valor cap. :/ Dear Blizz, I think you should take the weekly cap off, just so people can get their Legendary cloaks. Lol. JK.... kind of. I've actually been paying attention to the story line, that Wrathion tells..... which is new for me, since questing isn't one of my favourite things to do. I took that picture, just because it looked pretty cool, having Thrall, Garrosh and Sylvanas ( my favourite ) all together. The other thing that I have been doing, is taking Warbringer's down, for the chance at the mount and because I wanted a Brawler's Guild invite. I ended up buying one off of the AH, and am only on level 2 of it. It's something new to keep my interest in the game though, until the new expansion. I'm really enjoying it so far. Pictured above is my husbands main and mine. These are the two characters that we met each other on, years ago. That was when we were farming the Warbringer's. "A couple who plays together, stays together." 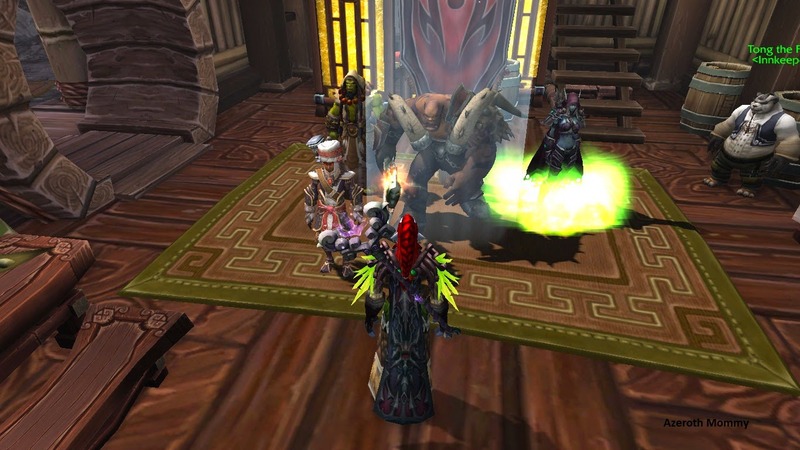 What have you been doing to keep interested in WoW lately? Leveling alts..... grinding the rep and quests for Legendary's? Starting toons on different faction sides? I've been playing Beta lately lol, loving the Garrisons and side quests so far. Lol thank you :) Most of my toons are tanking toons, I absolutely LOVE tanking. LFR is hit and miss, for me. Some days are great, others not so much. Props for healing, my husbands toons are mostly heals..... he was made to play a healer. Do you mainly go heals on toons?